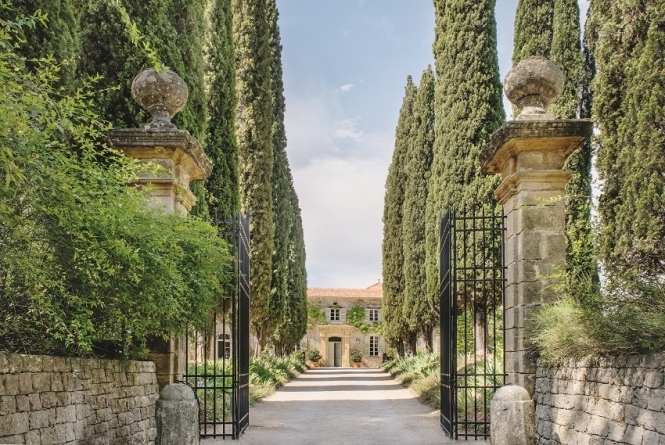 At physical remove from Paris and light-years from the action on the Côte d’Azur, the nineteenth-century bastide La Colle Noire, near Grasse, emanates the spirit of Dior. Its vineyards, olive groves, Renaissance stone lions, and shaded Italian garden mingle past with present. Cool tiled hallways, glimpses of linen velvet, and Emilio Terry influences add calm and charm. If his house in Passy was a civilized nest amid the demands of Paris and Le Moulin du Coudret represented an escape from the city, La Colle Noire, with its solid dignity, was Dior’s chosen home.